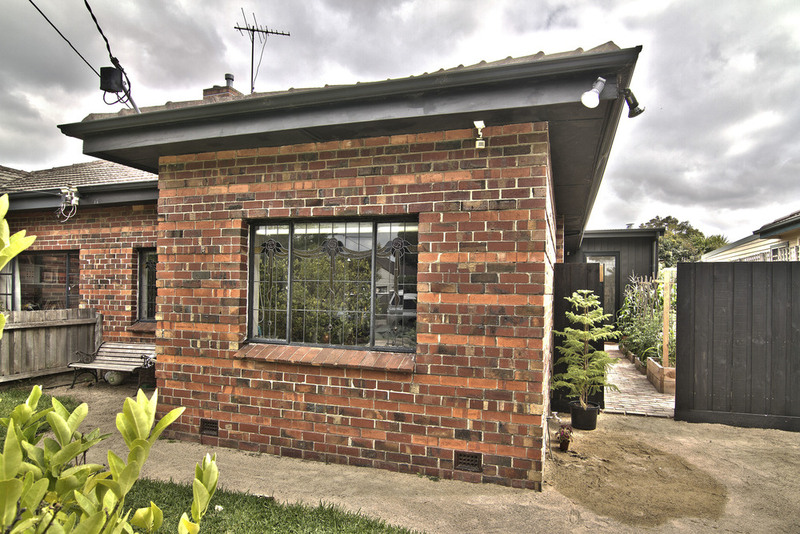 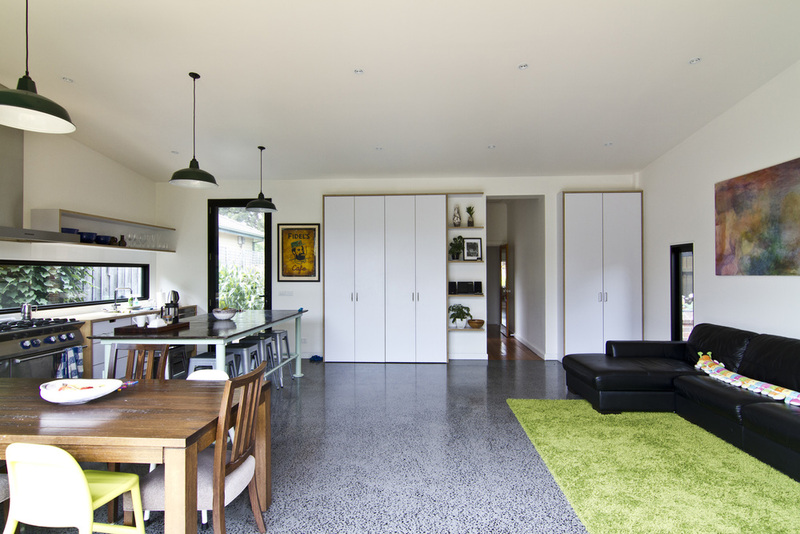 Located in Carnegie, Victoria, the aim of this addition and renovation was to add a large open area for our client's young family to gather and entertain. 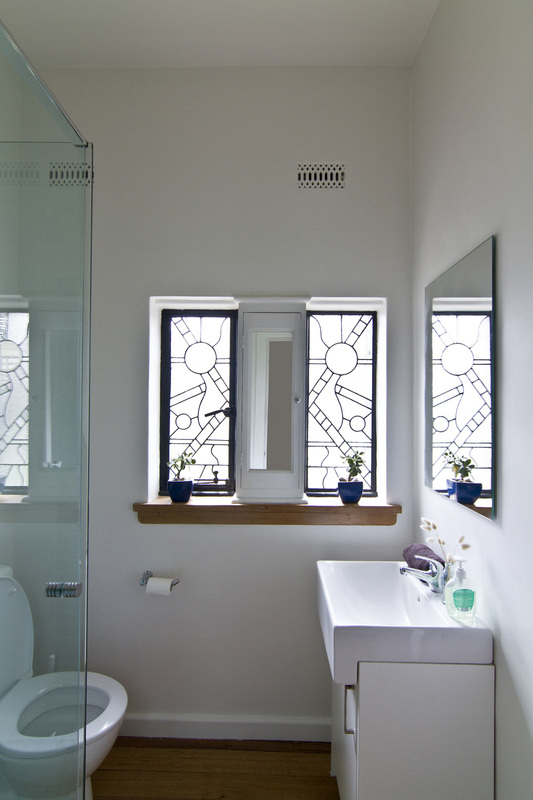 The refined industrial design reflects our clients taste and style. 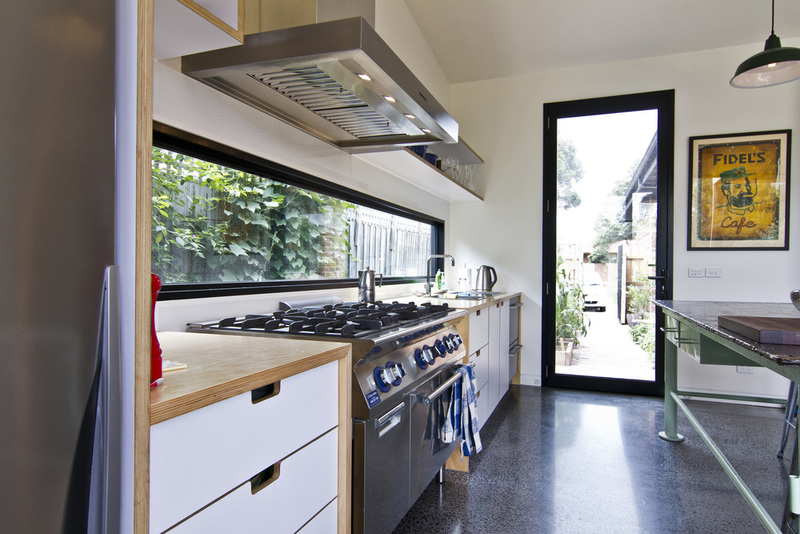 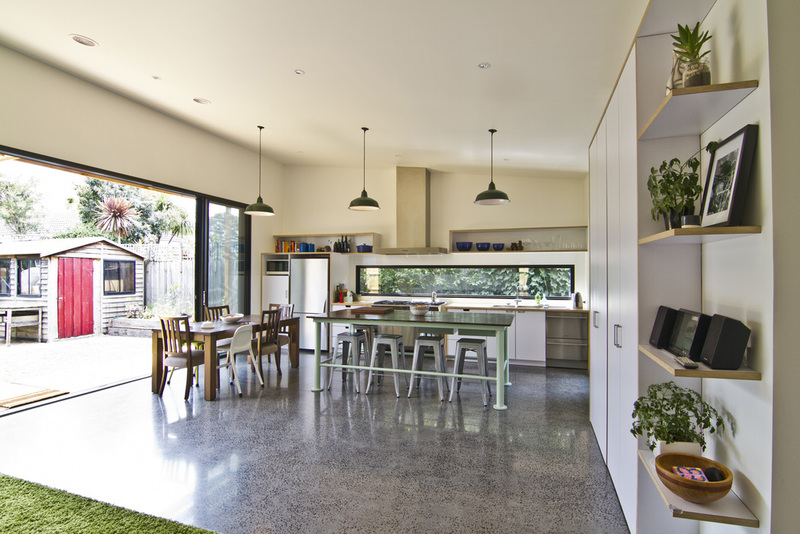 The open kitchen, dining and living area features plywood joinery and a reclaimed steel workbench that integrates well with the polished concrete floor. 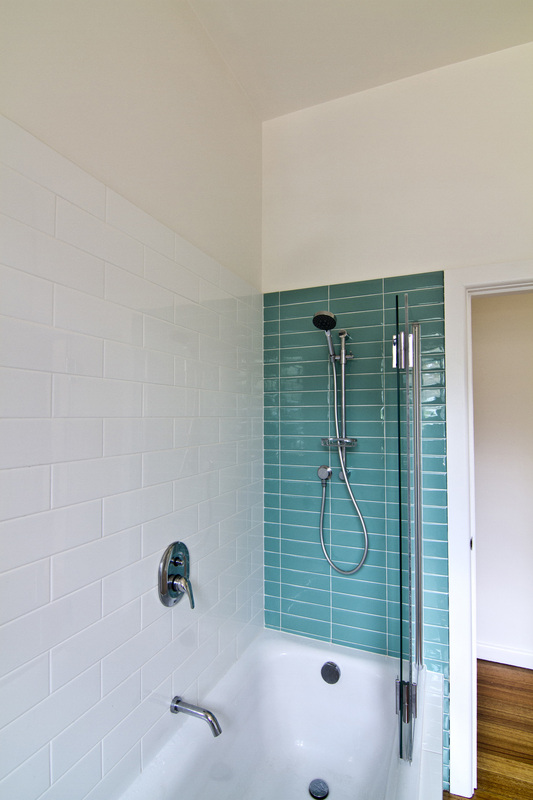 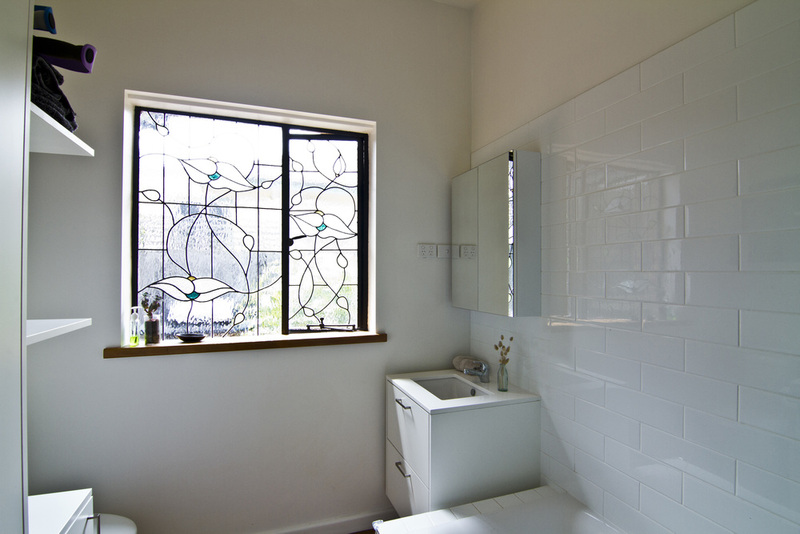 The existing bathroom and powder room were also updated in the renovation. 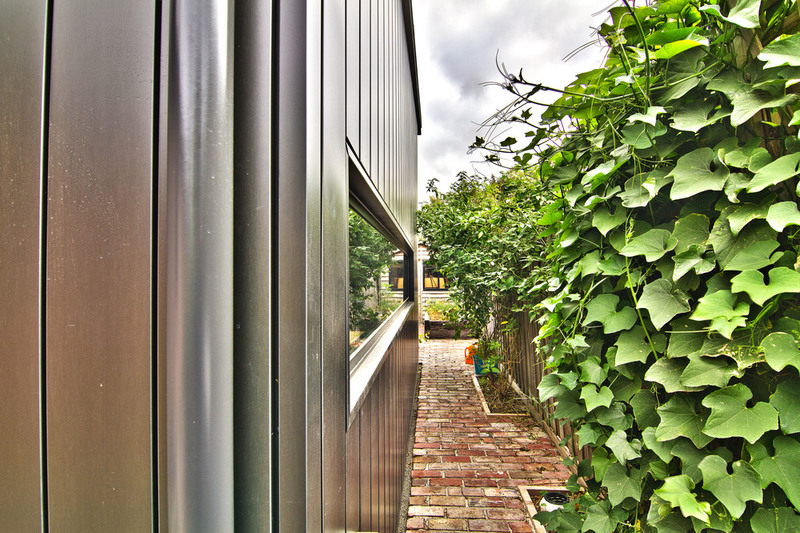 Externally the VMZinc wall cladding contrasts to the greenery adding vibrance to the landscape. 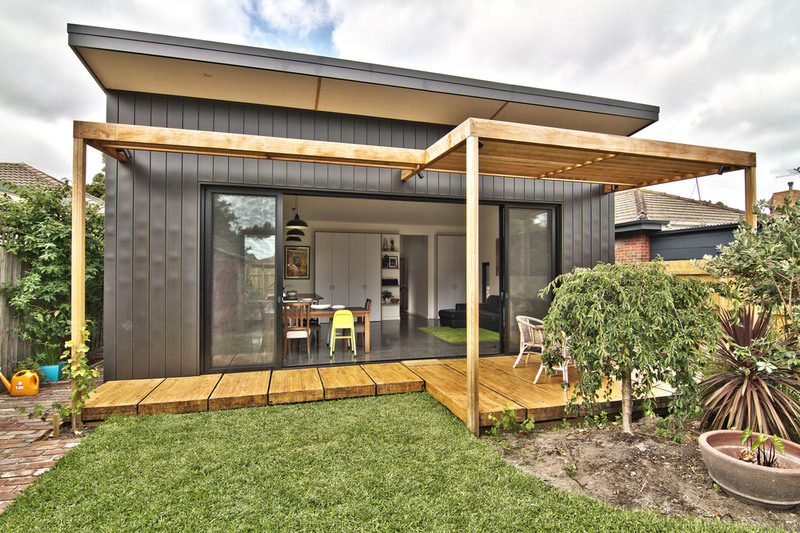 The blackbutt timber pergola designed to allow direct sunlight enter the home in winter and block it out in summer along with the recycled oversized timber beam deck aid well to the indoor-outdoor transition.